What's it like for Black male students who are openly gay or "gender non-conforming" to navigate the social geography of urban schools? In the tradition of critical ethnographies of schooling, Lance T. McCready mobilizes feminist theories of intersectionality to explore the voices of Black gay male students and their teachers in a Northern California comprehensive high school. 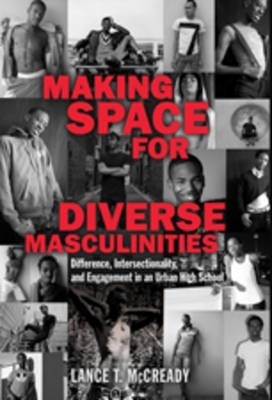 He analyzes the brave and often hilarious ways students "make space" by challenging conventional notions of Black masculinity and gay identity in educational spaces, such as an African dance program and the Gay-Straight Alliance. McCready challenges the dominance of race-class analyses in the field of urban education that fail to critically account for the relevance of gender and sexuality in school reform. The book will be of interest to anyone seeking to gain a better understanding of the lives of queer youth of color in urban communities. Their experiences open up new ways of viewing the troubles of Black boys and the interventions meant to address those troubles. The Author: Lance T. McCready is Assistant Professor of Urban Education at the Ontario Institute for Studies in Education at the University of Toronto.